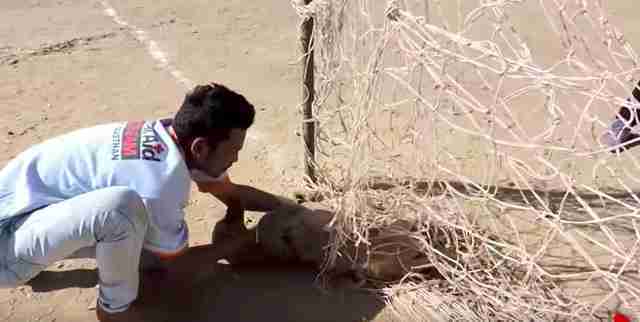 A stray dog was roaming the streets of India one day when he came across a soccer net, and immediately decided he wanted to play with it. He began to explore it and try to climb it — until suddenly, he found himself very, very stuck. 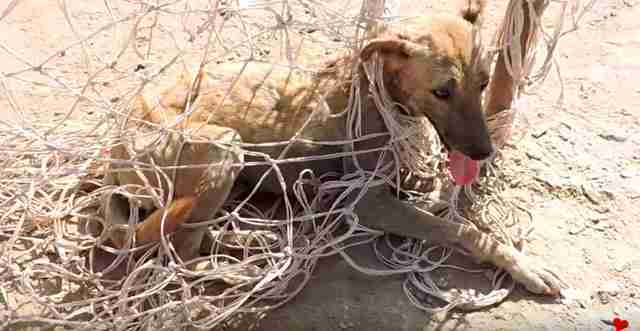 When rescuers from Animal Aid Unlimited got the call about the poor dog, they had no idea how long he’d been stuck there for. They knew he must have been very scared and confused, and quickly set about trying to get him out of his predicament. … and tried to get a little more as they were attempting to set him free. … and as soon as he was free, he rolled onto his back, hoping for a few belly rubs. 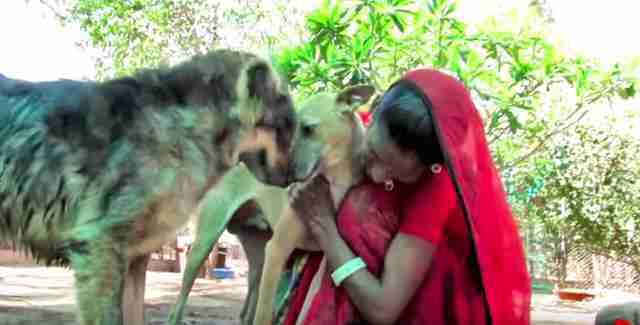 The rescuers gave the dog some food they had on hand, as they had no idea when he’d last eaten. 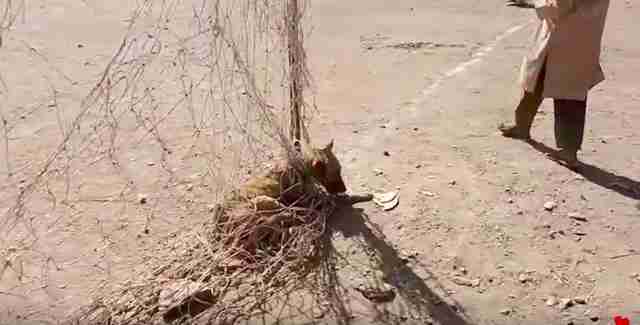 Then they took him back to their shelter to check him over and make sure the net hadn’t caused him any injuries. … from both his new human friends and furry friends alike. If the dog hadn’t been found when he was, he may have ended up a lot more injured and sick as time went on. Luckily, though, he was found by the best people, and will hopefully be a little more careful when exploring new things in the future. 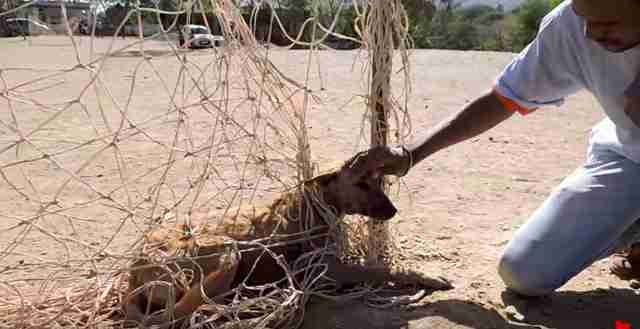 You can help other animals in need by donating to Animal Aid Unlimited.